Another of my favourite properties in Bermuda are The Villas at Ariel Sands. The Moroccan-style architecture reminds me of Cap Juluca in Anguilla and I love the clean lines and simplicity, the use of outdoor as well as indoor living spaces and the contrast of the white against the blue. 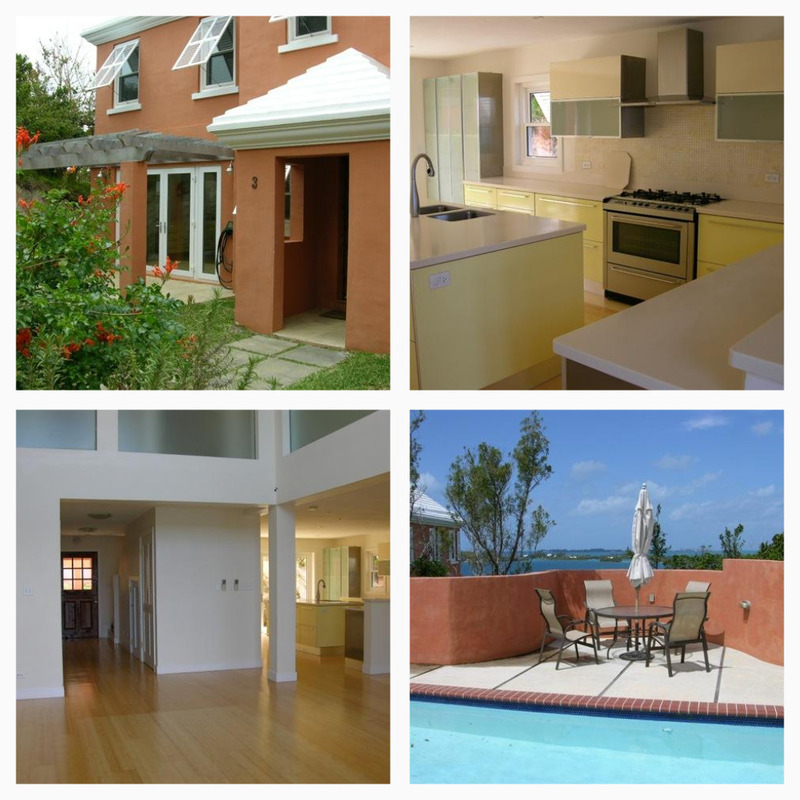 I’ve always said if I built from scratch in the Caribbean, I’d use these plans for a home. The villas have approximately 3,200 sq ft of interior living space and 1,200 of finished exterior. Saw this chair in the Michael Lee-Chin Crystal for the Royal Ontario Museum recently. 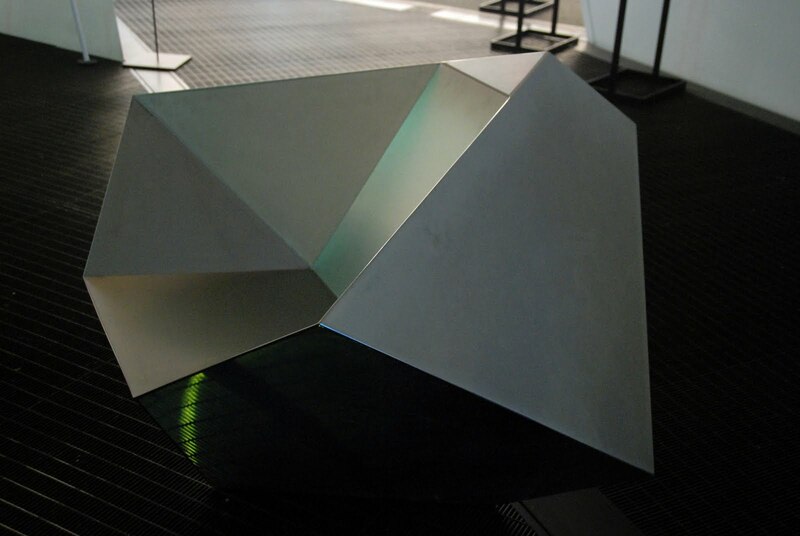 It was designed by Daniel Libeskind, an architect, and was inspired by the architectural peaks and facades of his Lee-Chin Crystal. It is designed to be oriented in five different positions and can be used as a side-table. Sorry I didn’t sit in it so I can’t vouch for how comfortable it actually is. 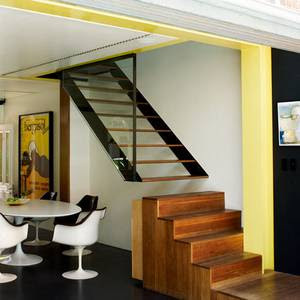 I love the floating effect of the stairs in this Australian house. 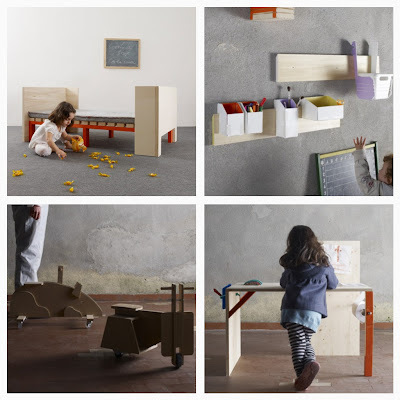 In addition to the plywood as a cheap but effective material, which I mentioned a few days below, I have always loved cardboard as a material for children. 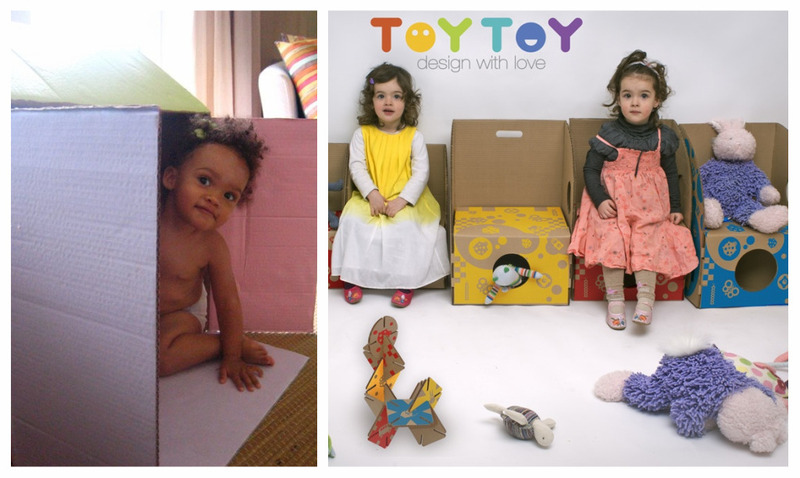 I think this is a throwback to my childhood days when my sister and I would spend many hours designing, painting and putting various cardboard boxes of different sizes together to create houses for our dolls and their entire families. It was a springboard for our imagination and creativity. Several years ago I found an adorable blue dolls house made out of cardboard and bought it as it brought to mind those cardboard boxes I used to make and play with but the quality has not withstood the trials of a toddler. At about the same time I continued the tradition and created a wendy house for my daughter out of the box in which her car seat had come and she still plays with it today, so the strength of the material can be uncertain. I came across this cardboard furniture from Toy Toy recently and love it. It is colourful, inexpensive ($20) and functional (it has under seat storage). I've been planning for the last few weeks to build a wooden sandbox, nothing too fancy. I found a couple of plans online but the design will be quite simple - just a square or a rectangle of plywood screwed or nailed together and painted to preserve it from the elements. I am convinced that simplicity of design and materials can still create something pleasing and beautiful. This was proved to me when I came across these examples of simple wood designs for children's rooms by Recession Design (love the name). The plans are available online and you construct them yourself. I love the idea (although the edges of the bed appear a little rough to me) and the advantage is that as a material, plywood is quite inexpensive and easy to put together. That Recession Design are offering the plans is also fantastic. I'll let you know how I got on with my design for the sandbox and I hope to have something up over the next few weeks as the weather is becoming warm very quickly.